According to the American Society for the Prevention of Cruelty to Animals (ASPCA), there are between 74 and 96 million pet cats in the U.S. Regardless of the species, however, all cats are susceptible to flea bites. 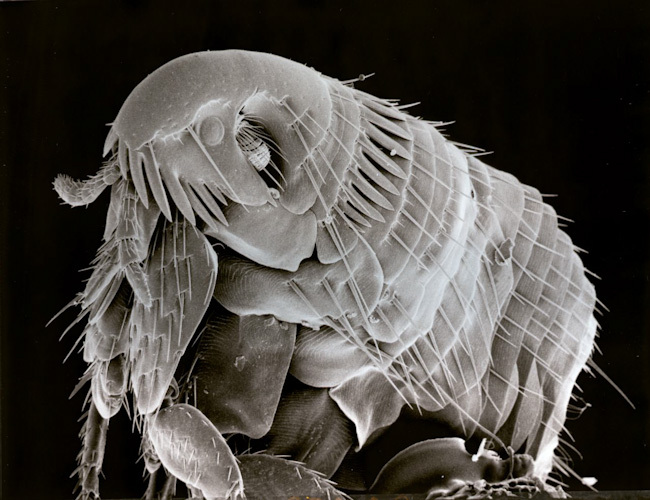 Fleas love to feast on the blood of cats. It’s not uncommon for a single flea to bite into a cat several hundred times per day, resulting in pain, inflammation, and even the potential for transmittable disease. So, how can you protect your furry feline from these blood-sucking parasites? It’s often difficult to spot fleas on a cat due to the cat’s thick fur. Granted, some dogs also have thick fur, but cats usually have more of it. This creates the ideal hiding grounds for fleas, ticks and other parasites. Owners should get into the habit of grooming their cats on a regular basis, checking for signs of fleas. You don’t have to necessarily take your cat to a professional groomer, but instead use a special flea comb to brush through your cat’s fur. Flea combs have special teeth that will catch any fleas in the cat’s fur. Don’t get me wrong, bathing is a great way to remove fleas from dogs. However, cats are typically a bit more hesitant to get under the faucet than their canine counterpart. If your cat doesn’t mind the water, though, try giving them a bath about once every 1-2 weeks. Not only will this wash away any fleas hidden in their coat, but it will also remove dirt and other debris. There are literally dozens of different flea treatment/preventative medicines on the market. The problem, however, is that many of these products require direct contact with the flea. Why is this an issue? Well, applying a tube of medicine to your cat may result in them licking it off. While most varieties are non-toxic, consuming flea medicine may still cause your cat to have an upset stomach or experience other adverse, albeit non life-threatening, reactions. You can protect your cat from fleas in a safe and effective manner by opting for an oral-based medication. Talk with your veterinarian to see what he or she recommends regarding oral flea treatment/preventative medicines. Oral medication usually comes in the form of a pill that you can place inside a treat. Once your cat consumes the pill, they will be protected against fleas fro a certain amount of days.